With the holiday season just around the corner, you are likely to be gathered by friends and family and busy catching up with your loved ones. While this means prepping your homes for get-togethers and parties, it also means giving your home holiday feels and boosting the festive aesthetics. At Konnstruct, we strongly believe that the best way to make a difference is by revitalizing your homes by giving the interiors a new paint job done. But, before you dive into the project, have a look at our 4 easy touch-ups that will make your home perfect for the holiday season. Adding an accent wall to your kitchen, bedroom or living room is a quick and simple way to make your spaces special and attractive. Painting a single wall creates a focus on the items near or around it and enhances the aesthetic appeal. 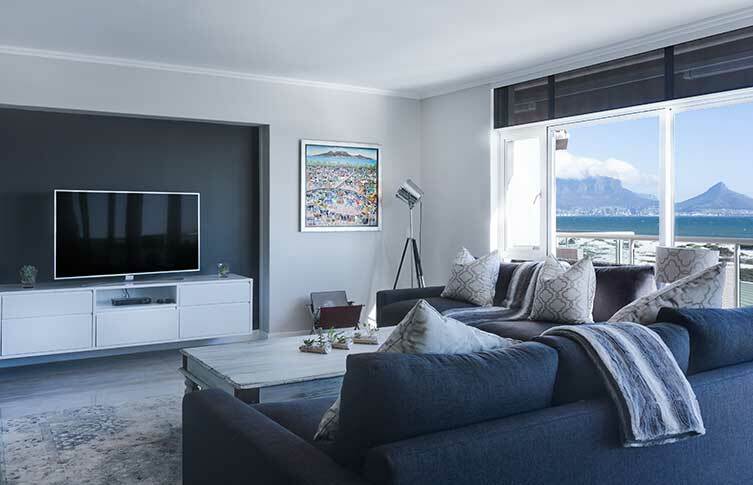 If you have a uniform colour palette for the entire room, let us, at Konnstruct, help you with painting a wall with a complementary colour to give your home a holiday feel without having to repaint the entire room. If you don’t want to go for an accent wall, painting your kitchen cabinets or the front door can be a quick way to give your space a new holiday touch. It’s a minor task that can make your home feel new and exciting for you as well as your guests. Consider finding a festive colour that complements your space and something that you will be happy with long-term. While preparing for holidays, there are good chances that you will be using plenty of decorations to fill in each of your aesthetic. Make sure you keep in mind the decorations and their shapes and colours before choosing your holiday palette to ensure that as you swap and change it, the overall aesthetic of your home remains complementary with your interior room colours. Adding a new coat of paint to your home is a great way of making it look more appealing. Usually, people paint their interiors once and forget about it. With time, this paint damages due to wear and tear. But, just with a quick touch-up, you can totally transform your room into something exciting. Our professional painters at Konnstruct are experienced and trained to assess your homes and suggest you when it’s the right time for a new coat of paint. If you are still confused about which painting services to opt for, our professional painters in Melbourne would be more than happy to stop by for a consultation. Give us a call at 1300 743 734 and make the most of your holiday season!